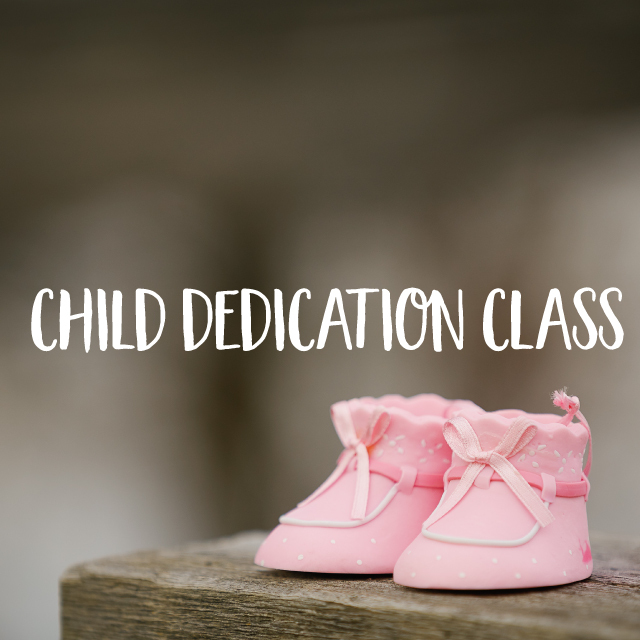 If you’d rather keep your child with you, they are welcome to join us in the service. 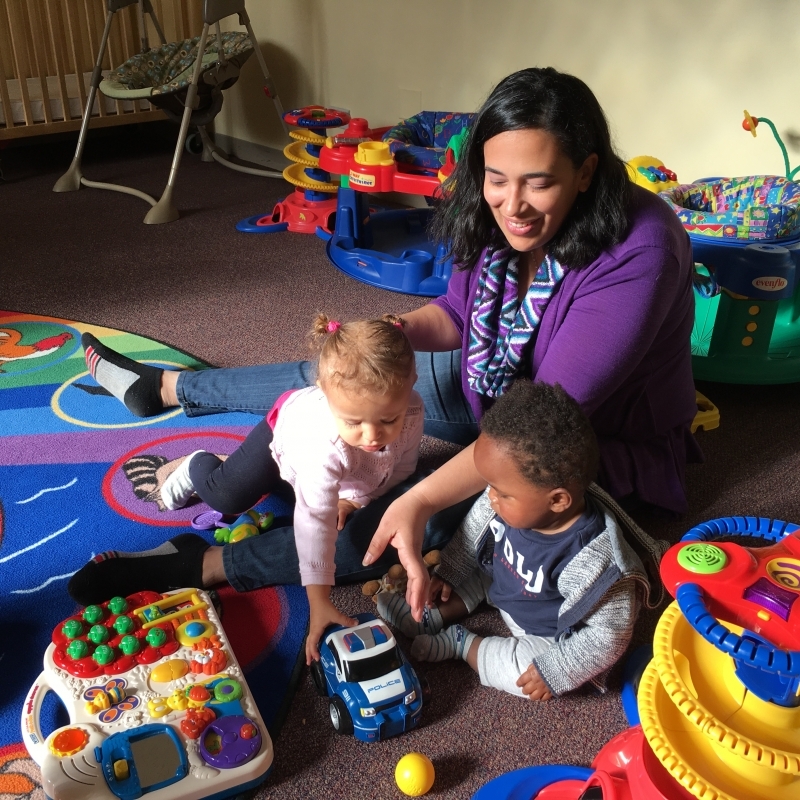 If they need to get some energy out, we have a special family room where families can stay with their kids. The sermon is broadcast in the family room. In that same room is a private nursing moms area that you can use to nurse your child or put them down for a nap. The room is equipped with a two-way mirror so that you can still see and hear the services. 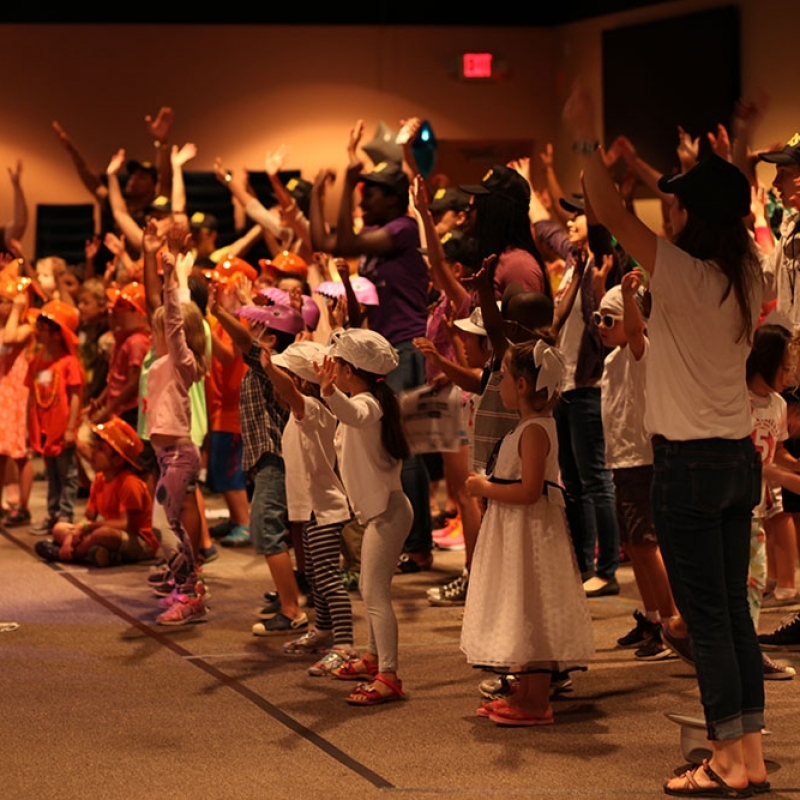 Children come into a nurturing environment where the day’s Bible story will be presented in an engaging, child-friendly way, followed by a worship time. Their craft will be tied into the story. Parents will receive a take-home paper telling them what their child learned that day with ideas for devotions and follow-up activities. 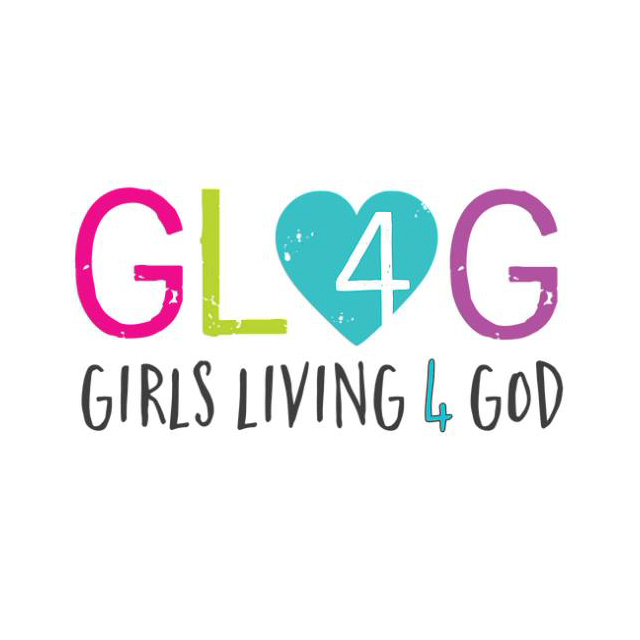 Each week they will be engaged in fun activities and learn a memory verse. 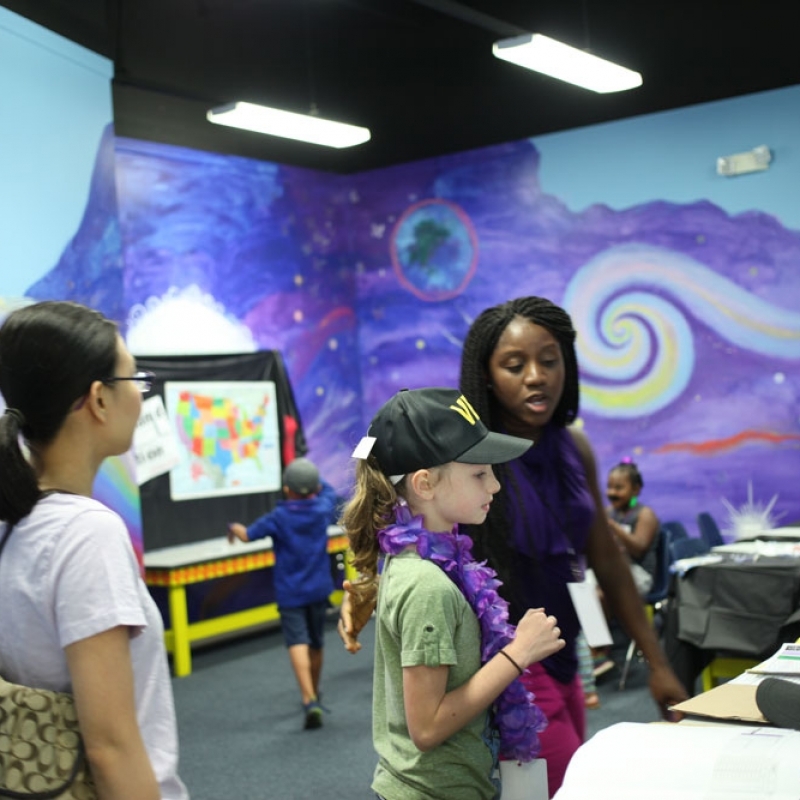 At Kids Church, the leaders engage in fun activities with the kids, and then we break into small groups where they do activities to prepare for the day’s lesson. Then we return to a large group setting where we worship, share a creative presentation of that day’s Bible story, and teach the main points and verse. We then return to small groups to follow up with the lesson, pray together, and do some sort of activity that brings the lesson home. Finally, we come back together for a review-game. Did you know that 80 percent of those who follow Jesus today made that commitment between age 4 and 14? That’s why we love pouring into the lives of 10- to 14-year-olds, introducing them to the love of Jesus and equipping them to play an exciting role in God’s kingdom today. We also think middle school students are incredibly fun! Limitless is for 5th to 8th graders and meets during the 9:30 and 11:30 am services in the youth area (back by the pop machines). During our Sunday meetings we play crazy games, hear messages that apply the words of Jesus to our lives, sing praise to God with rocking, relevant worship, and get to know each other through fun free time activities and small group breakouts. We start off as one big group then split into Limitless 56 and Limitless 78 halfway between the service for age-specific teaching and activities. We also have mentoring groups that meet twice monthly throughout the school year, monthly fun events like going to the corn maze or trampoline center and insane game nights at the church. 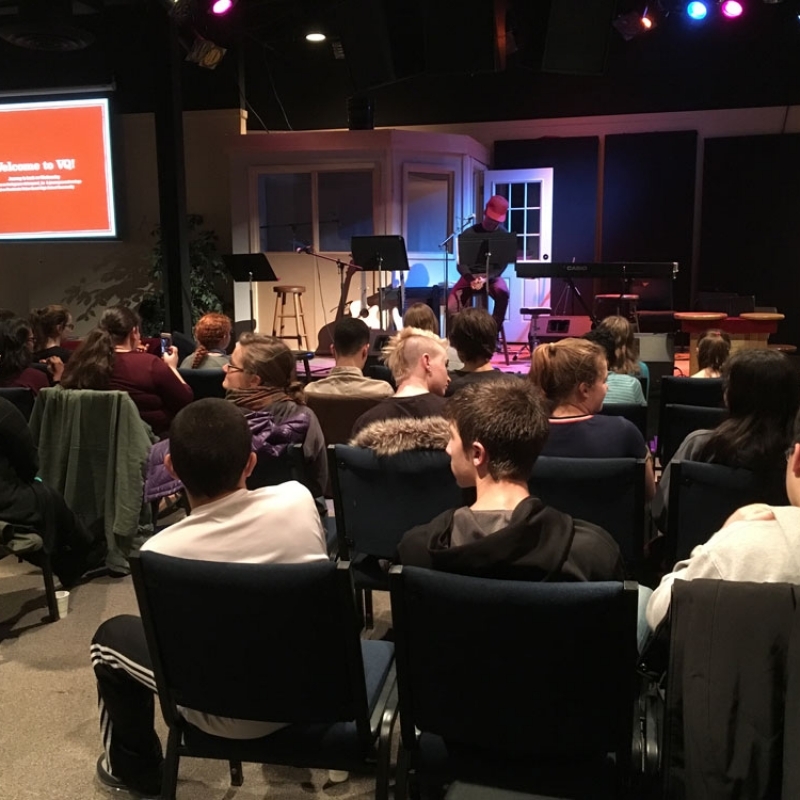 Each February we run a regional Vineyard Middle School Winter Retreat at Lake Geneva Youth Camp, and in July we join other churches for an adventurous summer camp on the shores of Devil’s Lake in central Wisconsin. 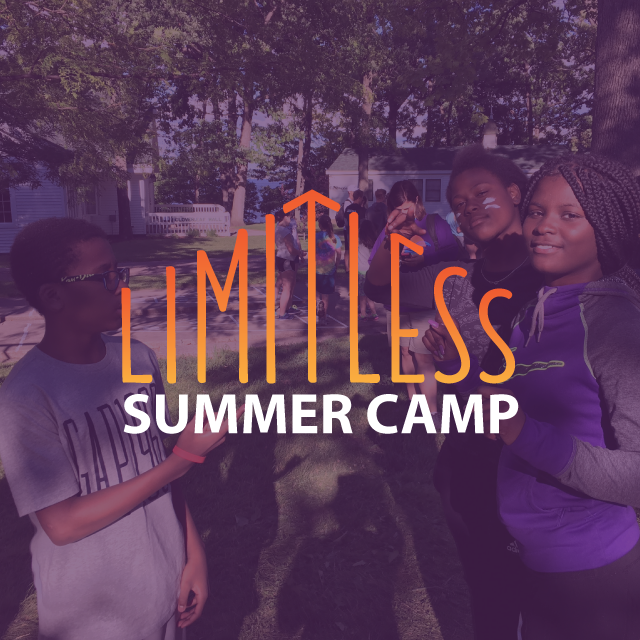 Limitless also puts a big emphasis on service and outreach, with outreach events planned throughout the year and a weekly summer program that starts with a service project out in the community and ends with an afternoon of worship, play and fun at the beach. 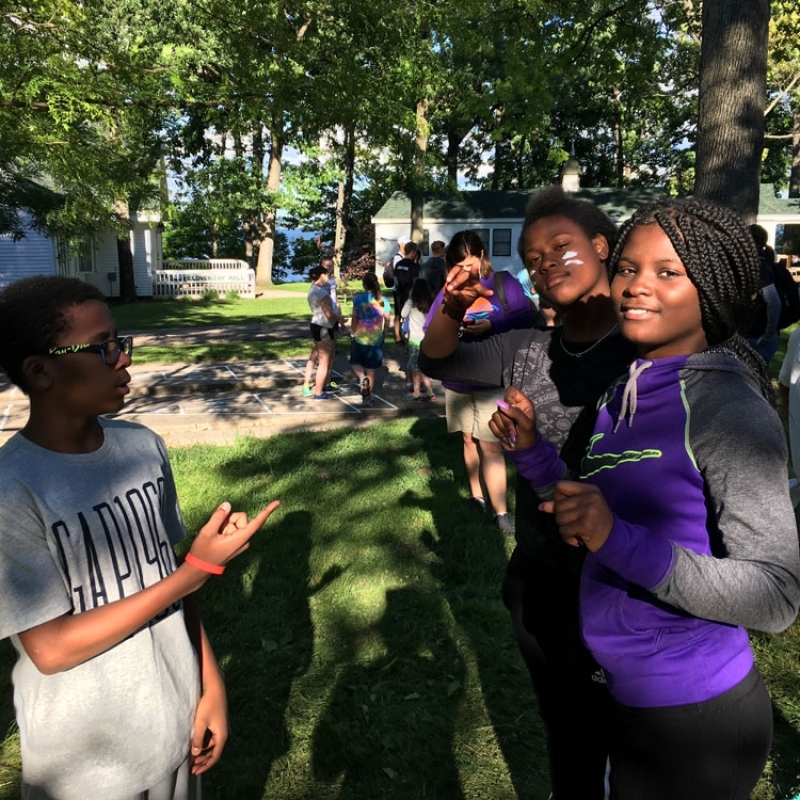 VisionQuest exists to help Vineyard high school students and their friends encounter a life changing relationship with God; to equip them to live lives of faith and integrity at this crucial season of life, and to empower them to become leaders in their communities. Our main youth meeting is Sunday evenings from 5:00–7:00pm at the Vineyard. Involvement in VQ will increase the possibility of high school kids developing strong faith, integrity, and life giving friendships. We also have many other activities that happen throughout the year: small groups, retreats, our annual service trip to Mexico, and tons of fun activities throughout the year.